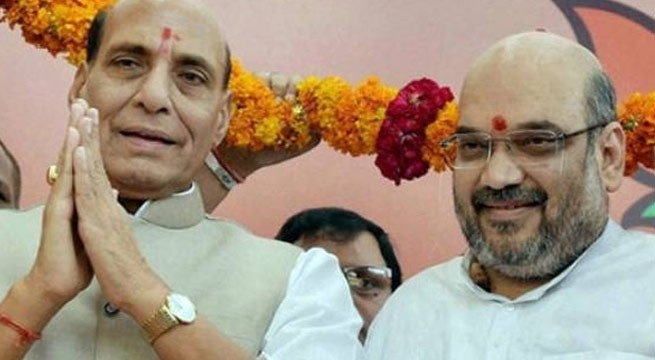 New Delhi, Feb 5: Ahead of the 2019 general elections, BJP National President Amit Shah will attend the two-day national level conference of BJP’s OBC wing in the state capital of Bihar. The two-day national convention will begin from February 15 where near about 10,000 all-India office bearers and state leaders will attend the mega event. Last month, a national level convention of SC-ST morch was held in Nagpur. Speaking to the media, OBC morcha head and UP Minister Dara Singh Chauhan informed that besides Shah, Union Home Minister and former BJP President Rajnath Singh and other senior Union Ministers and BJP national leaders will participate in the two-day brainstorming session. Heaping praises on Prime Minister Narendra Modi, Singh said that by granting Constitutional status to the OBC Commission, the central government has resolved the long pending issue. He further added that the BJP government is committed to the welfare of the OBC community.